If you’re seriously into multi-sports you’ll want to measure your speed and distance across more than just running. With the G3 GPS sensor W.I.N.D. you’ll be able to accurately track your movement whether your training involves canoeing, mountain biking, rowing or Nordic skiing. 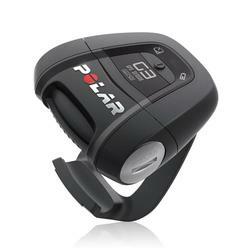 The elastic strap for your Polar GPS sensor is easy to attach and comfortable to wear.